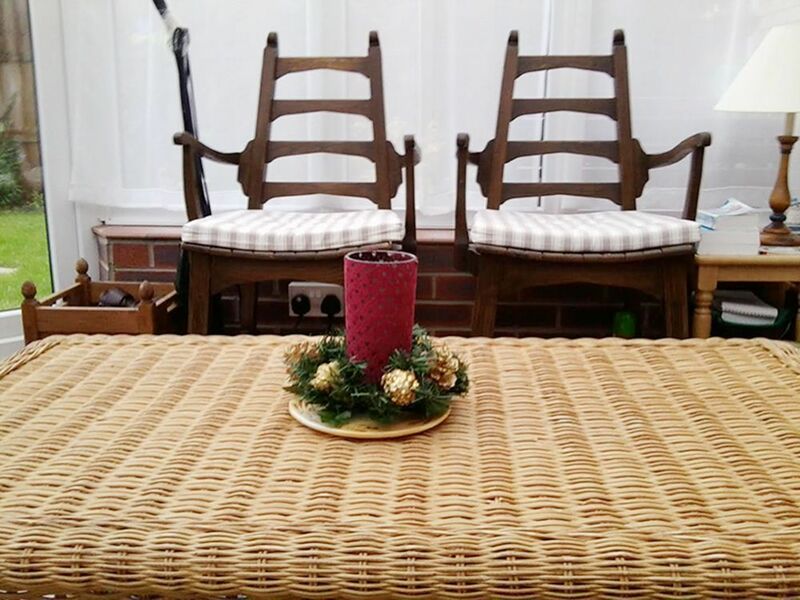 We asked some of our friends from different parts of the world how they celebrate Christmas Day and checked out the festive décor in their homes! Nothing says "Merry Christmas!" than a home decked with starry lights, tinsels and Christmas trees, so we got our friends to send in photos of their lit-up homes for the occasion. Take inspiration from their bright and cheery Christmas decorations as well as their yearly traditions with their family and friends. Hope it warms your heart as much as it has warmed ours. 'Tis really the most wonderful time of the year! Happy holidays! On her Christmas decorations. 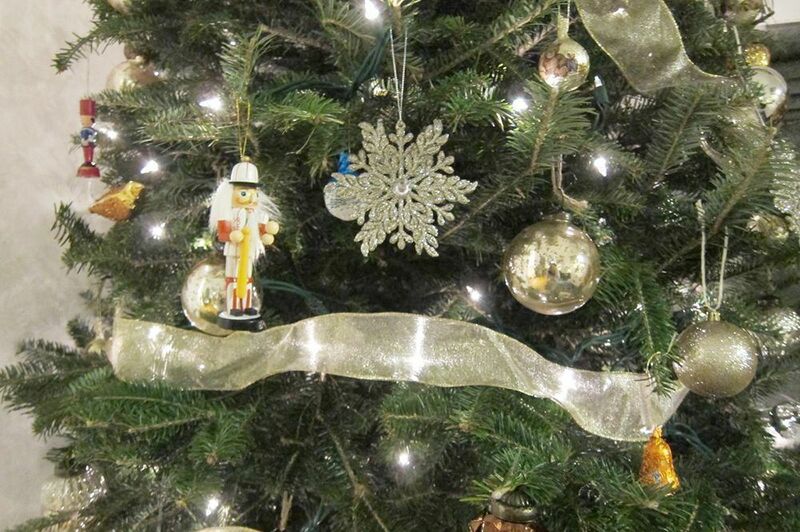 "There isn't any theme, but we have've mainly decorated our tree with gold, silver and bronze ornament balls. My parents are more particular with the lightings so this year, my mom bought a new set of lights as the old one is not blinking anymore (for some reason, she prefers blinking lights). Additionally, I made some candy canes and mini wrapped gift boxes for the tree." On her family's Christmas traditions. 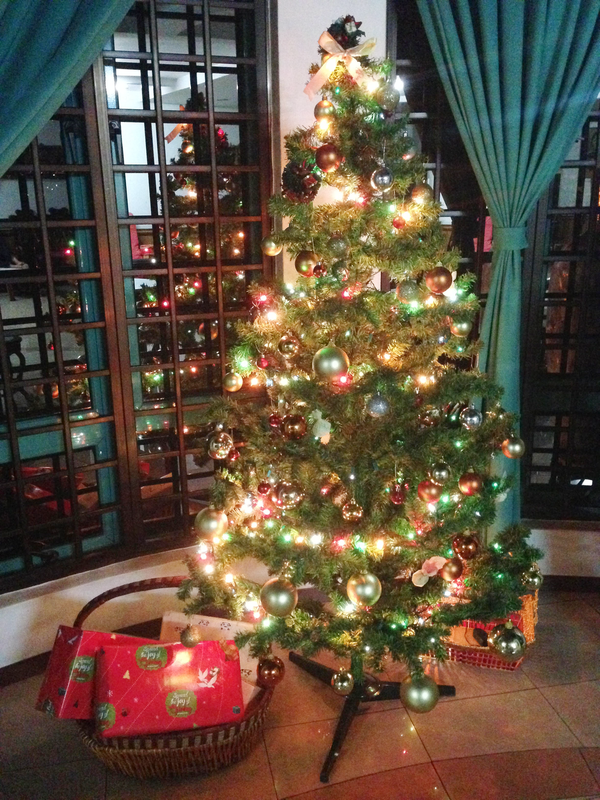 "We are a very cheena (Chinese-oriented) family but this year, we are going to do a Christmas gift exchange! This is a first!" Their Christmas menu. "This year's Christmas Day coincides with my grandma's death anniversary, so we will wake up early, cook, and prepare for prayer. Christmas menu this year will be a home-cooked Chinese feast." What are you looking forward to come Christmas Day? "I have a very big family—17 members in total, seven of whom are the kids of my three elder sisters. I hope the day will be filled with laughter and joy." On her Christmas decorations. "It’s more rustic and Baguio-inspired, in keeping with the general style of our home. (Baguio , also known as the City of Pines, is touted as the Summer Capital of the Philippines because of its relatively cool weather. It’s one of our favourite places.) We just injected a few pops of colour to break the predominant wood-and-brown scheme. Since my husband and I love Baguio, it’s natural that we have pine cones as part of our décor. We also have Christmas balls in different textures, as well as a handful of glittery faux leaves that appear to sprout from the tree branches." On her family's Christmas traditions. "Since my husband and I have our own place, we make it a point to visit our parents on Christmas Day. Christmas Eves are usually spent with just the two of us at home, with home-cooked goodies on the table and our favourite movies in the DVD player. Prior to Christmas Day, we go out with our friends and catch up until wee hours of the morning!" Their Christmas menu. "For Christmas Eve, I’m planning: pumpkin soup, baked chicken with rosemary, fried rice with pineapple bits and tuna, and tropical fruits smoothies. Then we’d probably just eat out on Christmas Day because I’d be too tired to cook, after the previous night’s festivities." What are you looking forward to come Christmas Day? "Good food and great company. Nothing beats that warm feeling you get when you’re surrounded by your loved ones who are as cheerful and sincere as the season!" On her Christmas decorations. 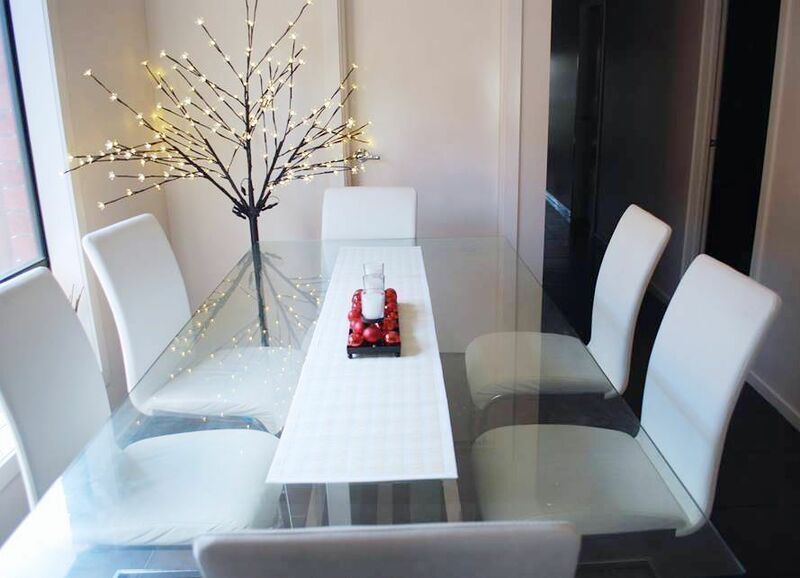 "I had white and silver decor from before I had my kid, but with a baby at home, I wanted to make the tree look more exciting for her, so I added touches of red. We used a black tree though, because my husband loves anything black, plus it matches our black-and-white living room with touches of red and green." On her family's Christmas traditions. "In the Philippines, we have what we call Noche Buena—a midnight meal that usually begins around 10pm on Christmas Eve, and ends with gift-opening at midnight to officially 'open' Christmas Day. This is also the time when the kids begin hunting around the house for Santa's gifts." Their Christmas menu. "For my family, it's usually pumpkin soup, Christmas ham, my mom's chicken macaroni salad, thick, hot chocolate, and lots and lots of wine!" What are you looking forward to come Christmas Day? "It's really about spending time with family and loved ones, so there will definitely be lots of food and karaoke!" On his Christmas decorations. 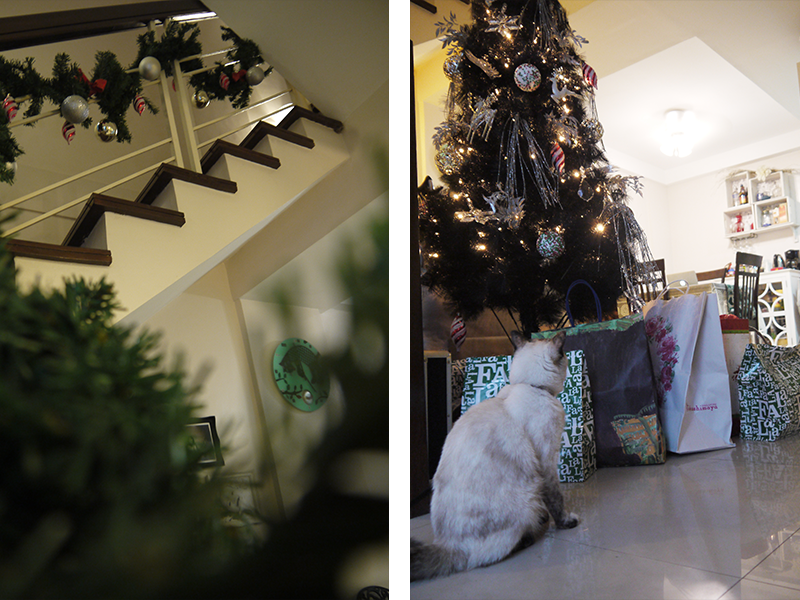 "So this is our Christmas tree. 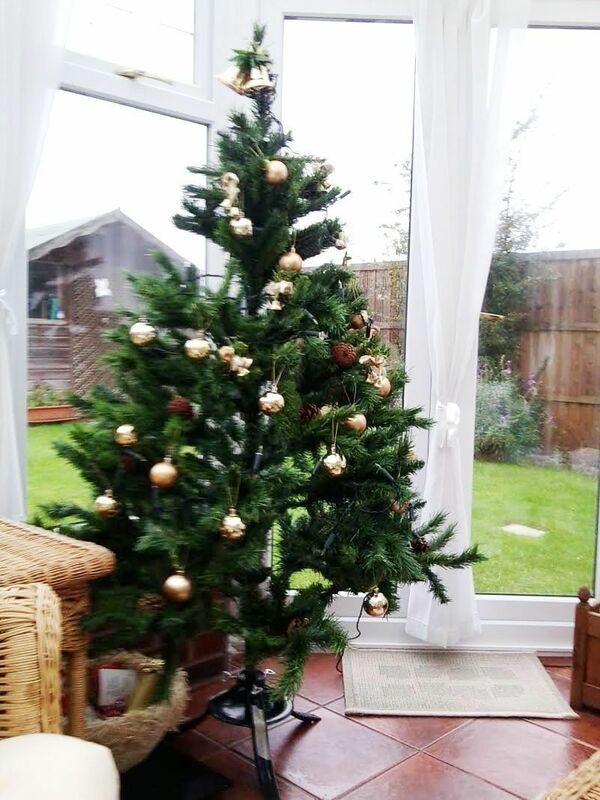 It's a fake tree that we've been setting up every Christmas for as long as I remember." On his family's Christmas traditions. "It's summer here so we'll have a barbecue. We'll have lunch then we'll gather around, open presents, and get fat together. I guess it's the most 'together' our family gets all year? From what I can tell most Christian families I know do something like that. I think here it's more of a family tradition than a religious celebration, but of course it varies." Their Christmas menu. "For Christmas, we go to an aunt’s house, and have a big roast chicken with veggies and whatever salads and stuff the family brings to the host’s house. My mum always makes desserts (pavlova and cheesecake are usually in there somewhere), while my other aunt makes traditional Christmas pudding with Brandy sauce (which apparently takes ages to prepare)." On her Christmas decorations. " The Christmas theme for this year is something gold, red, and silver. 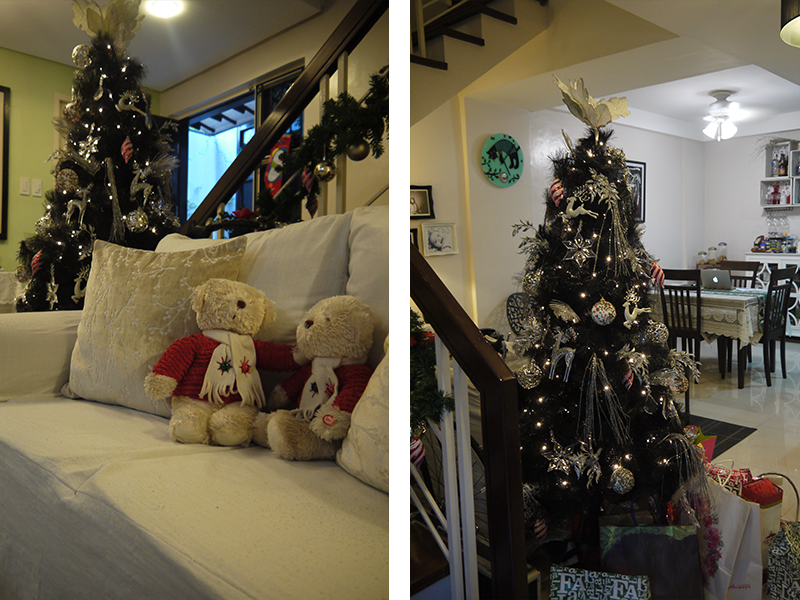 We treasure the Christmas tree because this is our first Christmas decor here in 'Oz. My son even did some cutout ornaments for our tree." On her family's Christmas traditions. "On Christmas Day itself, we will have a Christmas dinner with my cousin's family. We'll eat dinner together, have some games, dance and exchange gifts." What are you looking forward to come Christmas Day? "I'm looking forward to this year's Christmas day because last year, I only got one little elf running around the Christmas tree, but now I've got two little cheeky elves buzzing around the gifts under our tree." On her Christmas decorations. "Since it’s Christmas, we put some hanging bells, balls, and some lightings around the tree so when the night draws near around 4 o’clock, we can light up early. 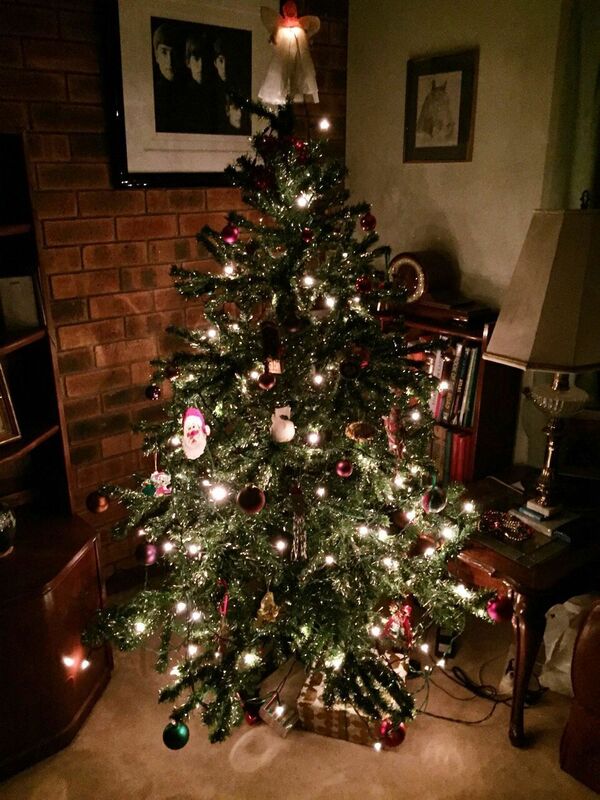 As it gets dark early during this time of the year, I’m most grateful for the Christmas tree which, besides adding festive cheer, also offers us warmth on dark, cold nights when we return home from parties." On her family's Christmas traditions. "Before visiting family, I will normally cook a traditional meal for my husband and me. We will exchange presents and cards with each other." What are you looking forward to come Christmas Day? "I definitely look forward to Christmas as it is a time for good food, presents and good wishes from friends and family." On her Christmas decorations. 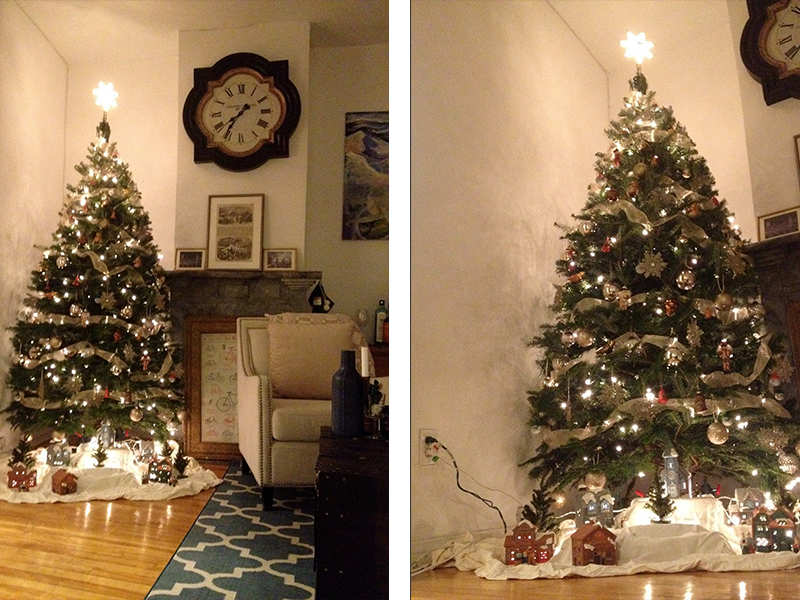 "This year, we got our tree from our local market—a new, yet enchanting experience for me. I loved everything from the choosing, the bargaining, to the tying up of the tree (they actually have a machine to do it! ), to the lugging it home. My husband and I agreed that I would be in charge of decorating the tree so I spent an entire day scouring Target, Winners and Dollarama for ornaments that would capture the 'rustic chic' look I was going for. 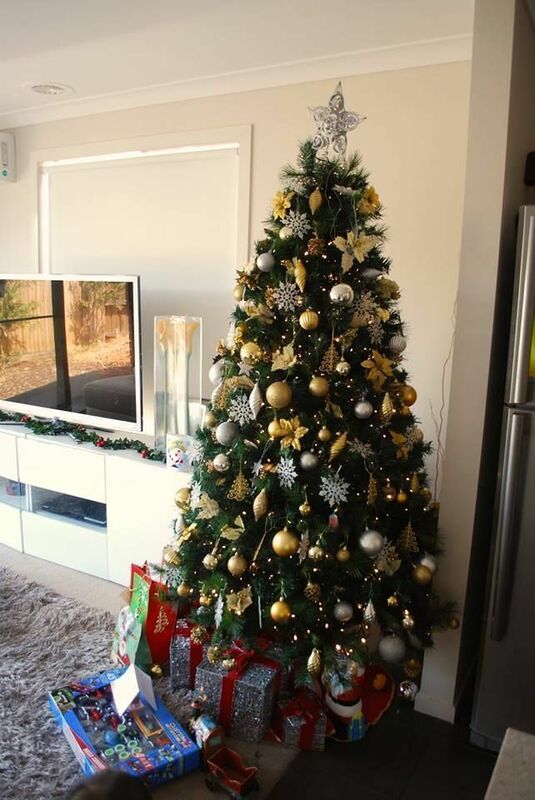 The tree turned out to be more quirky than rustic with its motley crew of animals, nutcrackers, glittered stars, and foil-wrapped chocolates, but I managed to stick to a gold/bronze colour theme. 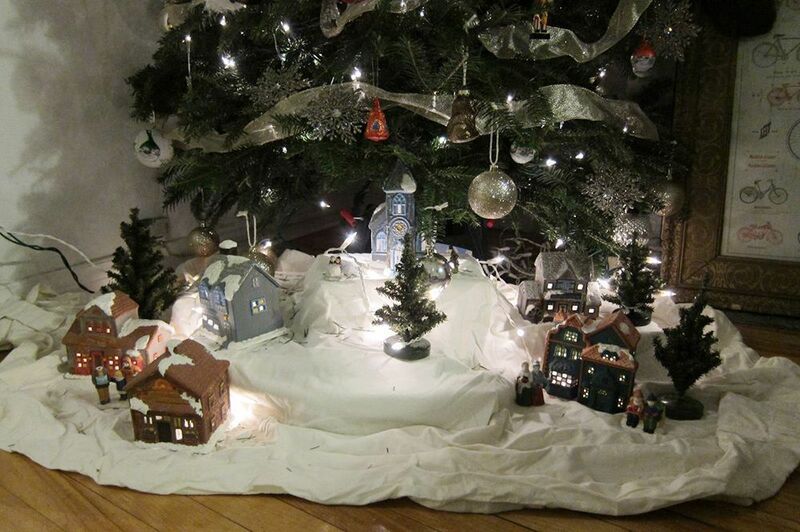 My husband and I also have a soft spot for the Christmas village nestling underneath our tree; my husband’s mom painted the ceramic figures and houses by hand, and when she died, my husband kept everything. It’s the first time we’ve brought them out of the box and set it up in its rightful place in our home." On her family's Christmas traditions. 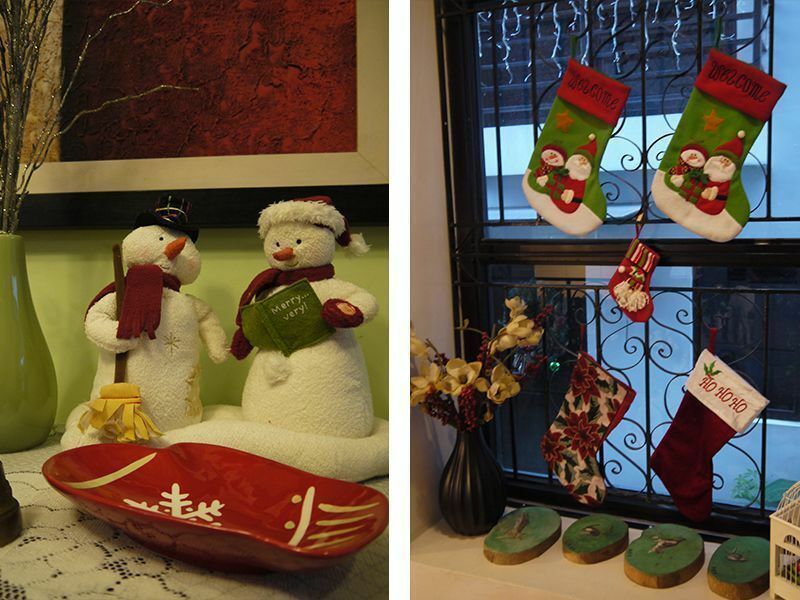 "My husband and I started putting up stockings a few years ago as a way to save money on presents since we have been traveling a lot, and were planning for a wedding. We kept the tradition going and we do it every year now. The Christmas Eve dinner is always at my husband’s paternal grandparents' place, where we will exchange gifts, eat a feast, play cards, drink lots of wine and go to midnight mass. The 25th is at his maternal grandparents', where we will once more expand our waistlines with another feast and play board games or cards." Their Christmas menu. "My husband’s dad makes his famous orange zest meatballs during the holidays—I’m looking forward to trying that out! My husband’s maternal grandmother, on the other hand, will make chicken pot pie and potato candy, as she knows they are my husband’s favourite." What are you looking forward to come Christmas Day? "Opening presents and a long weekend of uninterrupted cuddling with my husband!" “The Nativity scene is set up in almost every Spanish space, especially in homes with children. We used to go to the mountain to collect moss, tree bark, stones and other materials to represent the long path that took the three wise men to get to Bethlehem (in Spain the three wise men is much bigger than Santa Claus). We’ll also always attend the parade that welcomes the arrival of three wise men on the fifth night in every town. Children are allowed to get in the coaches to hand in their letters with good wishes, self-behaviour reports, and gift requests." How will you decorate your home this Christmas? 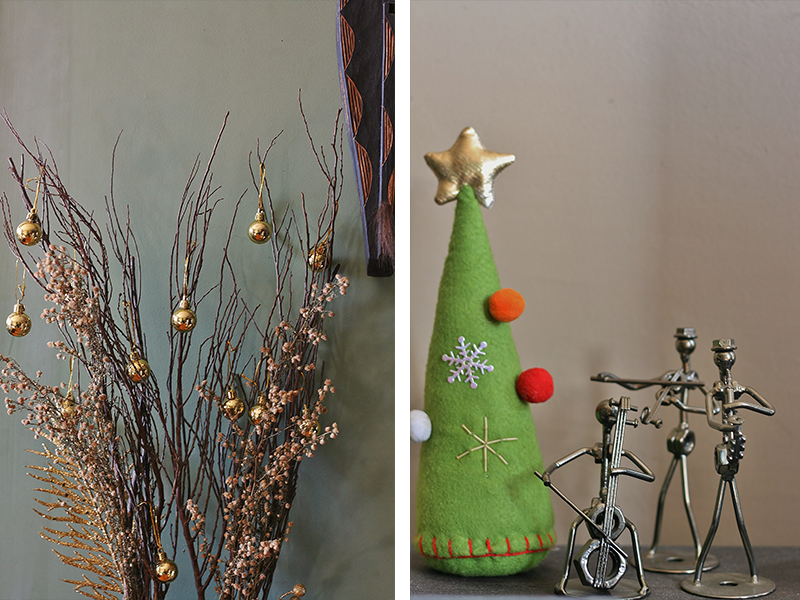 Or have you already decorated your home with Christmas decors? Share with us your stories and photos by emailing us at hello@cromly.com.